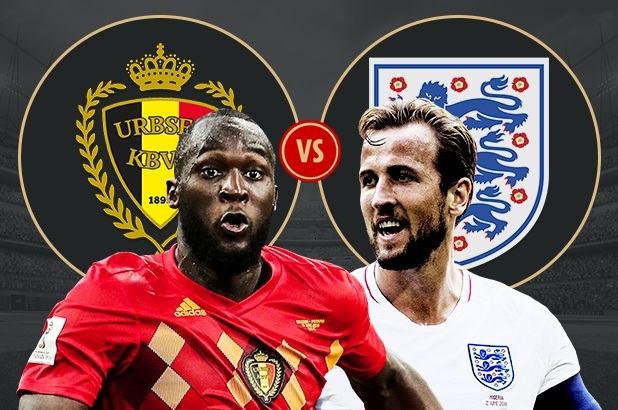 Belgium vs England Live Streaming Third Place of FIFA World Cup 2018. Belgium vs England third place match will be played at “Saint-Petersburg Stadium”. This match starts from 07:30 PM IST time (As per Indian Time Zone). Now we will share the details about Belgium vs England live score, preview, prediction, head to head, official broadcaster. Potential Belgium XI : Alderweireld, Courtois, Vermaelen, Boyata, Meunier, Fellaini, Witsel, De Bruyne, Mertens, Batshuayi, Carrasco. Potential England XI : Jones, Butland, Cahill, Maguire, Alexander-Arnold, Dier, Delph, Rose, Loftus-Cheek, Lingard, Vardy. How to watch Belgium vs England Live Streaming of FIFA Football World Cup 2018 ? United States users can watch England vs Belgium live streaming Third-Place match on Fox / Telemundo channel. Watch onlline stream on Fubo TV. United Kingdom users can see live telecast fifa third-place match on ITV channel and watch online video stream in mobile and tablet via ITV Player. Indian football friends can see live coverage of fifa world cup 2018 third-place match on sony ten network and hotstar channel. www.goal.com give us live england vs belgium score, commetnary, preview and head to head information.